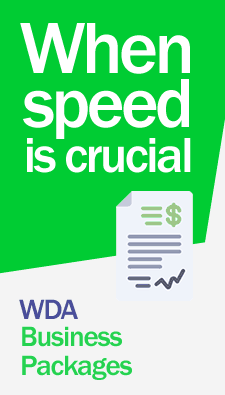 Obtain your patent registration through WDA Internationa Law Firm. Our specialized lawyers will obtain the registration of your patents and will keep you informed at all times until obtaining your Patent Certificate of Invention. The Invention in Trinidad and Tobago It is a tangible, practical work or solution to a specific problem in a field of determined, novel technology and Industrial application. This implies that the invention must be usable in practice, in the industry and can not consist in the simple recognition of something existing or a law of nature. * Ideas, hypotheses or discoveries (of things already existing in nature), scientific theories and mathematical methods. * Rules of games, lottery systems, methods for the exercise of activities, teaching methods and organizational procedures. * Diagnoses, therapeutic and surgical methods used in the human or animal body. * Literature, dramatic, musical or artistic or any aesthetic creation. * The presentation of the information. * Inventions, exploitation of what would be contrary to public order or good customs, cannot be patented. Patent legislation is in force in Trinidad and Tobago: The Patent Act, 1996 (Act No. 21 of 1996). The Patent Regulations, 1996.
International Treaties to which Trinidad and Tobago forms part, related to patents. The Strasbourg Agreement Concerning the International Patent Classification (1971). The companies that own the patents Nesecitaran to secure their patents in order to generate a return, either by exploiting their monopoly or licensing the technology to other companies. Some of the big hi-tech companies make hundreds of millions a year in licensing patents or royalties in addition to their exploitation. For more information on how to register your patents in Trinidad and Tobago and about our services and fees. Contact us now.